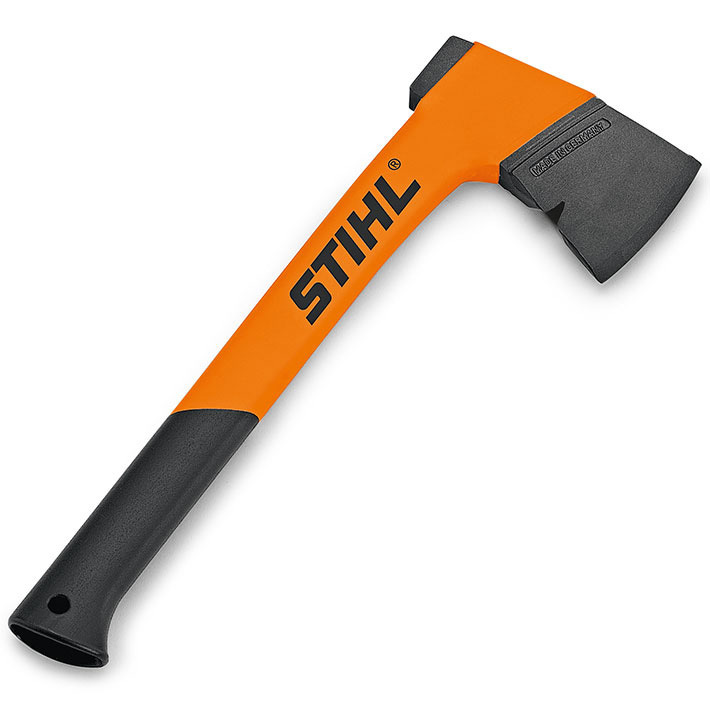 Cleaving axe with glass fibre-reinforced polyamide handle. Particularly light, robust, durable and weather-proof. The axe head is made of C60 coated steel with excellent sliding properties and is inseparably connected to the handle. The surface of the lower part of the handle is non-slip coated and therefore ensures a good grip when working. The centre of gravity close to the axe head provides optimum weight distribution and makes for strengthsavingwork. 37 cm, 640 g. Suitable for delimbing, also suitable for lighter splitting work, with integrated nail puller in the blade. 75cm, 1,950 g. Highly suitable for medium splitting work, suitable for easy to hard splitting work. Do not use with steel wedges.